No one likes to come down with a case of bad breath. But the truth is that bad breath, or “halitosis,” as it is called in medical language, is an extremely common affliction.And, contrary to popular belief, bad breath is not just something that “happens” to a few unfortunate people. There are all sorts of reasons that someone can suffer from halitosis. Some of these reasons are relatively benign and are easy enough to remedy. Other causes of halitosis stem from something quite serious and are much more challenging to treat. Anything that causes digestive problems can potentially cause bad breath. Alcohol can cause digestive problems. Alcohol also reduces saliva production in your mouth and dries it out. Tobacco has a similar effect on the mouth, altering saliva production and adding chemicals to the usually moist membranes of the mouth. If you suffer from bad breath, you might want to first make sure alcohol and tobacco aren’t the reasons for your problem. Dehydration is another common problem that can bring on a case of halitosis. When you are dehydrated, you are also likely to be constipated and suffer from digestive problems. Stress is another cause that may not be readily apparent when you are looking for reasons for bad breath. Stress affects the digestive system. An insufficient supply of digestive enzymes may be another cause. Other sources of bad breath are in the nose and the nasopharynx, the area above the base of your tongue. And last, but not least, dieting may be a cause of bad breath. Now that you have an idea about the common causes of bad breath, what can you do if you don’t smoke or drink, and are not currently under a lot of stress? Target your digestive system. There is one type of yeast in particular that is likely to cause you problems: it’s called “Candida albicans.” Candida thrives on the surface of moist, mucous membranes, such as those in your intestinal tract. Unfortunately, many of the refined foods found in a typical Western diet feed the candida yeast. Sugar, white bread, soft drinks, condiments, corn syrup, and leavened bread are a few of the foods that nourish the growth of candida. Antibiotics will also feed candida; in fact, many people who take these drugs are suffering from the symptoms of candida overgrowth without even knowing it. If you want to stop candida from creating havoc in your digestive system and with your breath, eat a diet that includes lots of fresh fruits and vegetables, whole grains, and unprocessed oils like olive or canola. Avoid hydrogenated oils. Eat some yogurt every day. 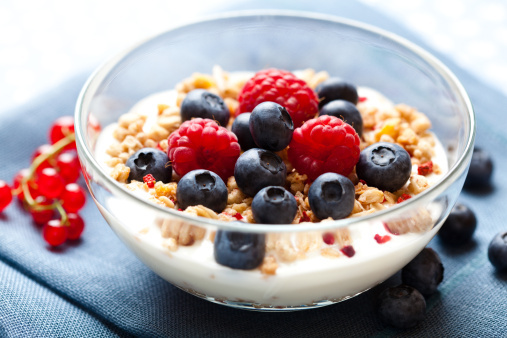 Yogurt contains friendly bacteria that can prevent the growth of candida. Make sure the yogurt you buy contains lots of acidophilus, bifidus and other probiotics. And buy unsweetened yogurt. Add fresh fruit at home instead. A Spanish clinical trial found that probiotics could help in the treatment of both periodontal disease and halitosis. The Spanish research team reviewed published studies regarding probiotics and their effects on the mouth area. They found that most authors concluded that the use of oral probiotics was associated with an improvement in oral health. If you don’t care for yogurt, remember you can give horseradish a try. It also contains a lot of the friendly bacteria (“probiotics”) you need to keep candida in check and your breath fresh.